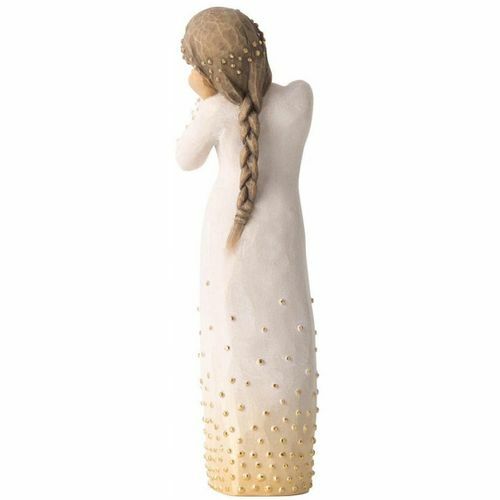 Message on the card inside reads: "A beautiful wish for you"
Willow Tree is an intimate line of figurative sculptures representing sentiments of love, closeness, healing, courage, hope...all the emotions we encounter in life. 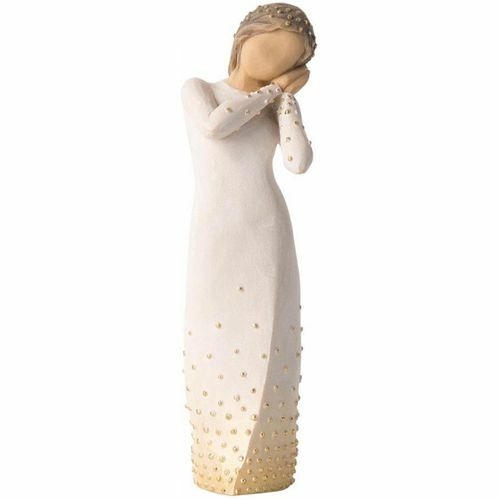 A new addition to the Signature Collection, which was first launched in 2015 to mark the 15th anniversary of Willow Tree. 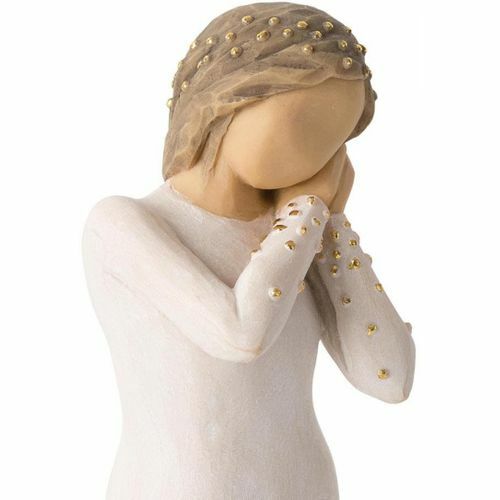 The Wishing figurine has a beautiful gesture and sentiment determind by the giver and receiver. A hopeful wish for future aspirations, a missing you wish of friendship, a healing wish of comfort, an addition to the Nativity. "This is a very open piece, in which the giver and receiver participate in defining its meaning. 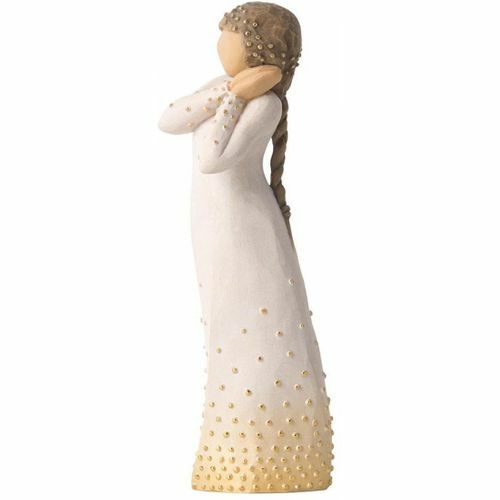 At Christmas time, Wishing can be added to the Nativity display. 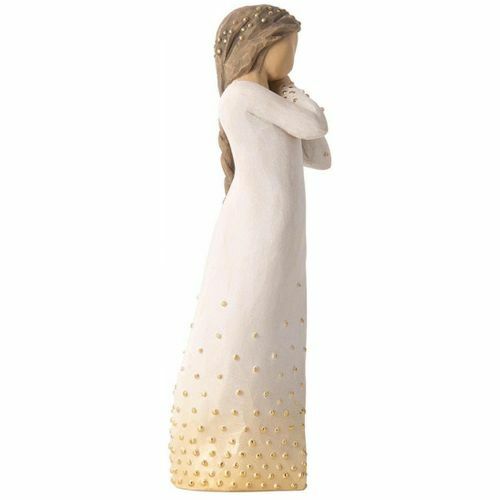 Her golden halo and angelic gesture with the other figures all play a part to tell a story" - Susan Lordi.